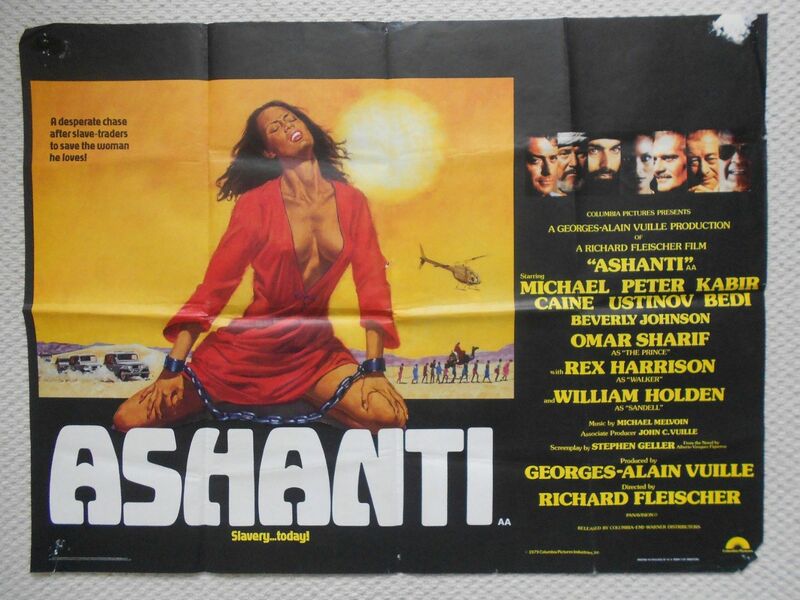 Original 1979 UK Quad poster from the film ' Ashanti ' starring Michael Caine, Omar Sharif and Peter Ustinov. This poster is in VG condition and measures 30" x 40" with a nice image. The poster has two small holes by the lady's left arm, surface paper loss at the top right and some corner wear.